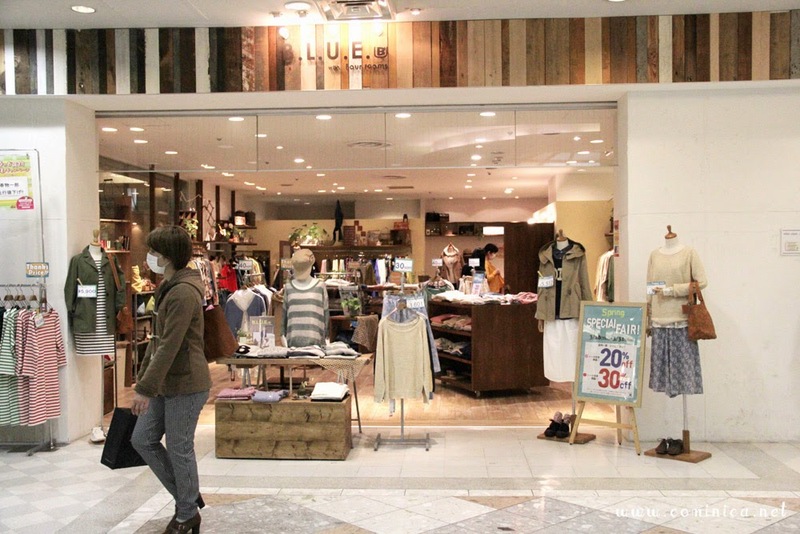 On the previous post, I've told you that the basement at Seibu sells a lot of foods. Usually, if the time almost reach 9 pm, some shops will sell their foods with cheaper price. The department store usually close around 9/10 and they won't sell leftover foods that aren't fresh, so all the foods are on sale in order to sell them quickly. If you're on a tight budget, you can try come at night, lol. All of the workers are still so energetic at night and give their best service. Even if you just buy 1 thing, they'll give their best! Anyway, to go out near Seibu Line we must take the Seibu exit road in the Station and walk for about 5-10 minutes. 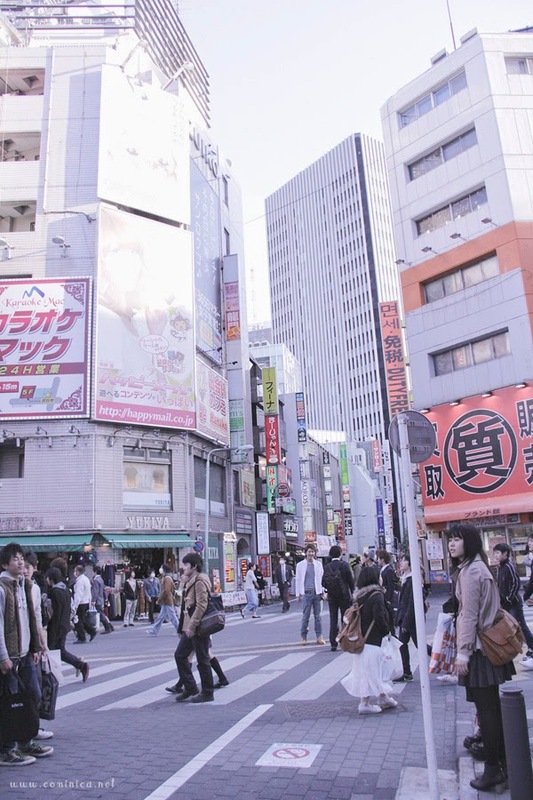 In front of Seibu, we must pass through a large crosswalk to get to the Sunshine City. 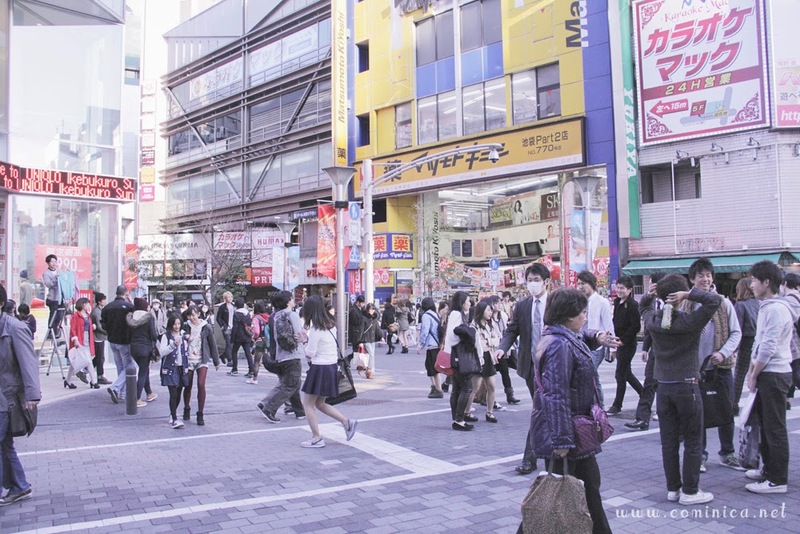 Actually, it's not so far because the road is easy to find and it's very fun to walk in japan haha, but it was too cold that time and I didnt wear any coat or jacket so my brain wasn't work quite well LOL. 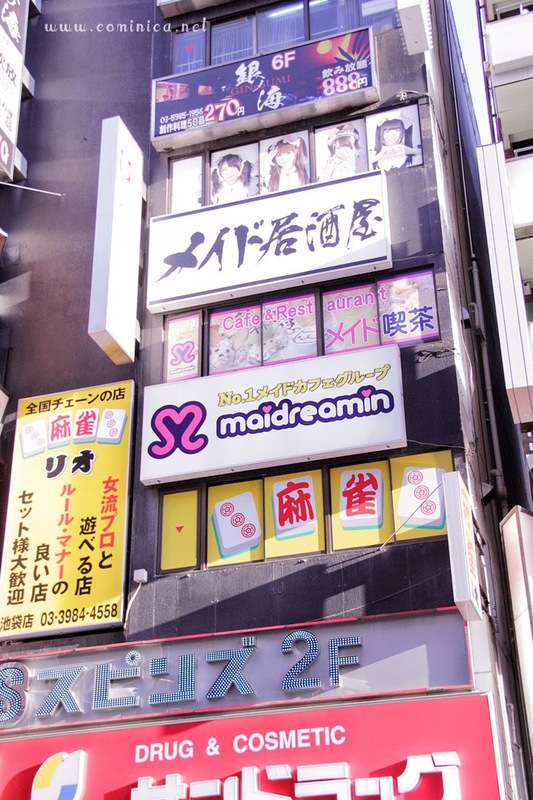 When I almost reach Sunshine City, I see a lot of stores related to japan pop culture, such as animate, K-books and also maid cafe. 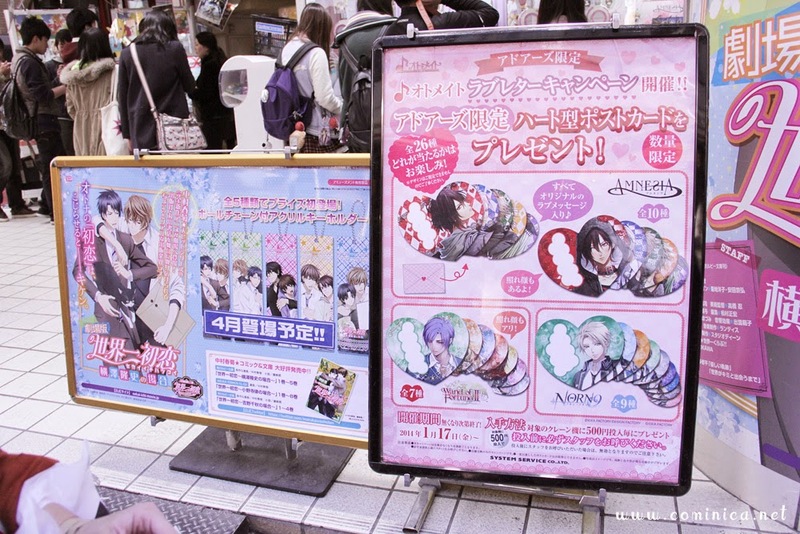 Previously, I knew that Ikebukuro is a hang out place for fujoshi and also some otakus. 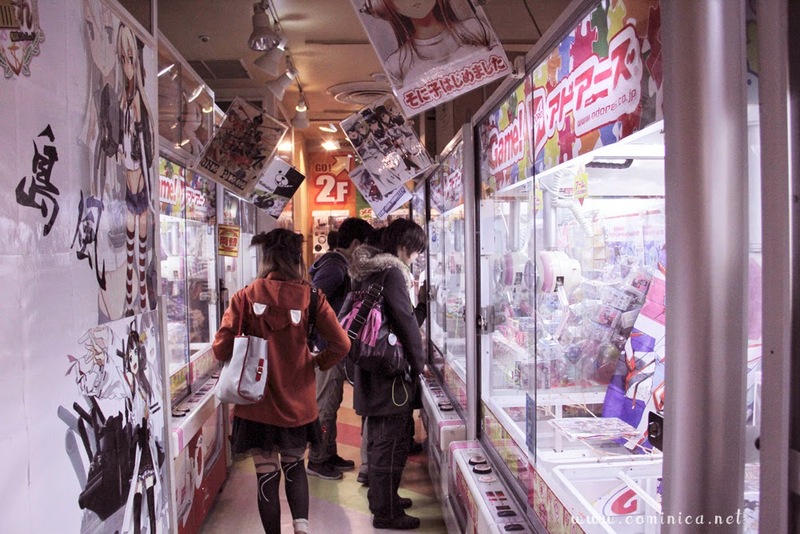 lol not as big as Akiba though. 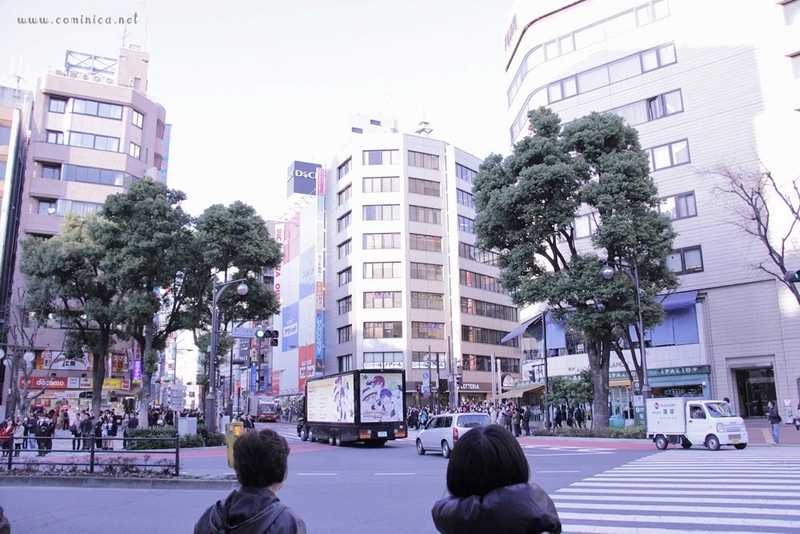 An intersection before we reach Sunshine City, you can see some Anime poster from faraway,lol. 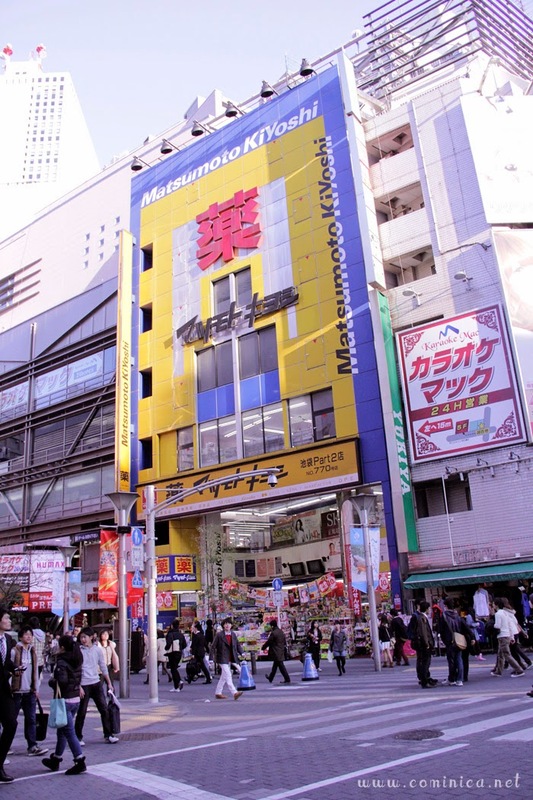 Ikebukuro’s main area around Sunshine City is brimming with Game centers, all filled with the usual array of arcade games, shooters, canoe-riding games, Japanese drum games and of course Ufo Catchers! what a heaven! so many cute prizes I swear! I also come inside a Game Arcade but didn't play because I was in a hurry, I planned to visit a game centre on a different day. This game centre isn't that crowded because in Ikebukuro there're a lot of game centre and some of them are bigger than this one. 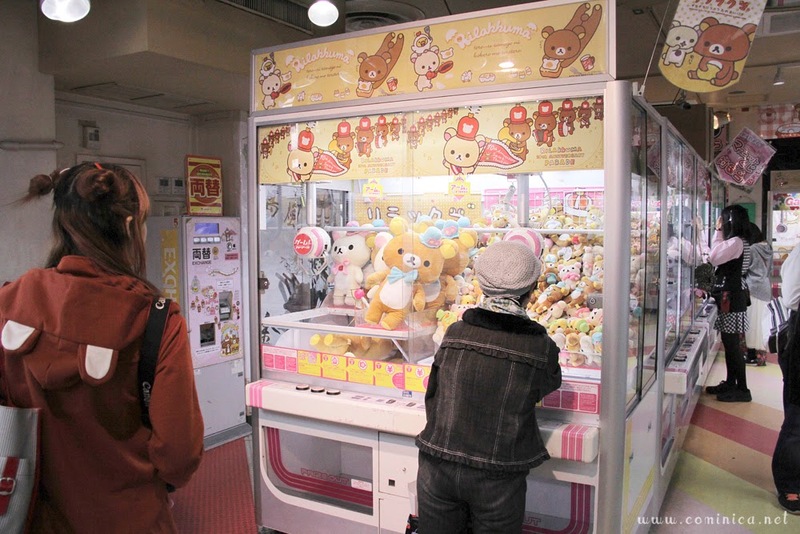 And yes, people loves to play Ufo Catchers because of the prizes! Inside Sunshine City, there's Namja Town (an indoor theme park by Namco) the creator of Pacman and many arcade games. 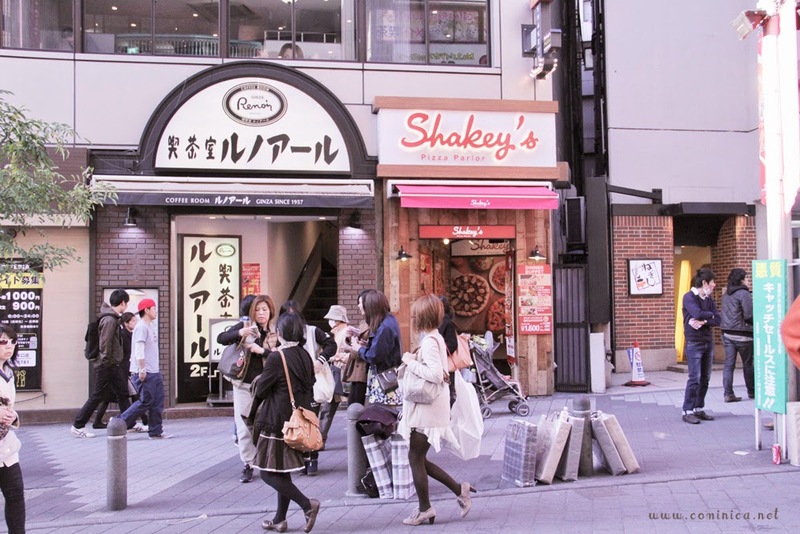 There're Gyoza Town and Ice Cream City inside it but I didn't visit both because no one wants to accompany me, /cry. Next time if I go to Japan again, I'll visit those places. If you're planning to visit kindly click this link for the ticketing information. 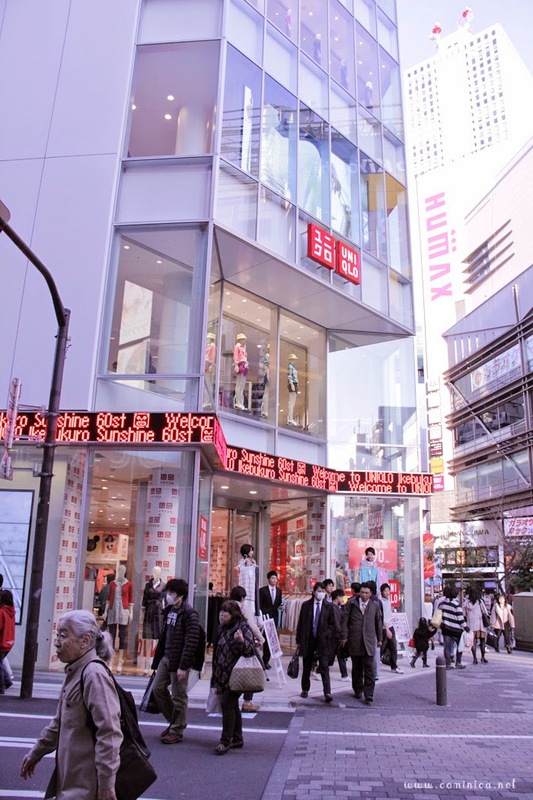 When I realised that I was wrong, I immediately suggest to visit Harajuku because there's a Tutuanna store at Takeshita Dori. And we can still shopping (maybe) if some stores still open, haha! I wish I could have visited Seibu > 3 < inexpensive food sounds like a dream to me x3 I can't wait to see your post on Harajuku -'w'- Did you by chance visit Wonder Rocket? I really can't wait to visit japan!! Gawd, I love these pics! Everything is so lovely there. Omg the clothes are so cute! I wish Jakarta had cute (not overpriced) clothes like that. I'm so jealous you went to Tokyo! I dream of living there one day haha.